Student interactions in an e-learning community are captured to construct a Semantic Web (SW) to create a collective meta-knowledge structure guiding students as they search the existing knowledge corpus. Formal Concept Analysis (FCA) is used as a knowledge acquisition tool to process the students virtual surfing trails to express and exploit the dependencies between webpages to yield subsequent and more effective focused search results. The system KAPUST2 (Keeper And Processor of User Surfing Trails) which constructs from captured students trails a conceptual lattice guiding student queries is presented. 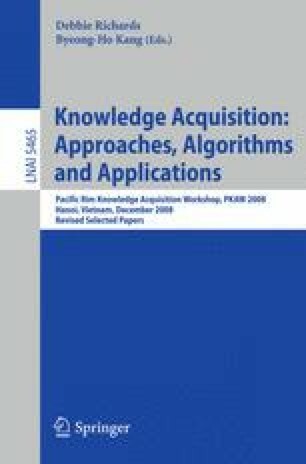 Using KAPUST as an e-learning software for an undergraduate class over two semesters shows how the lattice evolved over the two semesters, improving its performance by exploring the relationship between ‘kinds’ of research assignments and the e-learning semantic web development. Course instructors monitored the evolution of the lattice with interesting positive pedagogical consequences.